The Minnie Van service in Walt Disney World has been charging only a flat fee of $25 to move guests from any point to point in Walt Disney World. It will soon change to a new pricing model. Beginning September 10th the “Minnie Van” service will begin using a new pricing structure of $15 Flat Fee PLUS a per mileage fee. The amount that they will charge per mile has not yet been announced. The service allows guests to be picked up at or near the front of the theme parks and resorts. The convenience has been touted by many on message boards across the internet. Guests use the Lyft app to reserve their ride. I was just there the week before Labor Day and used Minnie Vans 8 Times. Lyft was running a promotion of $15 rides on weekdays, it was amazing! That must be how my friend got the $15 rides! How do I contact the Minnie Vans once we get there and should I make reservations ahead of time? 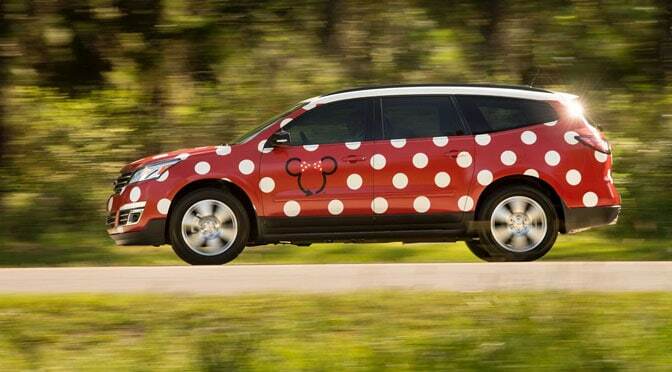 Does anyone know if the Minnie Vans will pick up passengers at the Shades of Green? Yes I asked just the other day and was told they will pickup and drop off at Shades of Green. Bigger Q, I think, is will it still show the final fee BEFORE you call for the Van, like an Uber or Lyft, or do you get the special surprise at the end, like a cab? Some people may not know they have wheelchair accessible Minnie Vans as well. On a recent trip (we ran into you waiting for Seven Dwarfs) we used this service. You have to call 407-828-3500 and select the correct option. They were fantastic! We would not all fit in a single van, so they sent the accesibile one plus a second standard Minnie Van. We usually split up 4 and 4. Everything about the service was terrific. We did have to pay $50.00 in these instances, but it was well worth it! I am not sure how the pricing will change for this experience, but it may so many trips easier. Used Lyft during a June 2018 visit. Didn’t need a code to access Minnie Vans -it showed up automatically when on property. The usual Lyft was always much cheaper than Minnie but we did do Minnie 2x when going to MK because they drop off at the park rather than the transportation center. We found both regular Lyft and Minnie to be easy, affordable and it changed the way we moved around the parks. Will they move between ALL WDW locations? We had a bad experience at Christmas last year. Rude Beach Club CM would not give us access to their code so we could get home to POP from Kids Club. She claimed they only moved between deluxe resorts, which I knew to be untrue. Had to get manager. The driver that picked us up was a trainer for the van program and distressed to hear that the CM was so poorly informed and rude. We were there then too. At the time they were just introducing Minnie Vans were just for Deluxe resorts. They’ve since expanded the service to all resort guests. My friend used the Minnie Van exclusively the week before Labor Day. She was told by one of the drivers to give the driver a 5 star rating (which she deserved) and then all her rides were just $15. Has anyone else heard of that? Wow that is inappropriate for the CM to have said! Should actually increase the rate for some rides. I think folks will be surprised. Having compared UberXL + car seat price to Minnie Van prices to same routes around property the Minnie Van was actually cheaper in many cases. And that was with just 1 car seat in the Uber. No! Or maybe it won’t be sooo bad! In some cases, it could end up being cheaper, but I can also see it being more expensive for other trips. We had hoped to use these vans to move from our resort to another resort for some early morning breakfasts and also taking one down to Disney Springs for an early morning BBB appt. I guess we will see how it goes.